After the successful opening of Xiaomi stores in Trinoma Mall and SM Megamall, the Chinese technology leader launches its official store online through a partnership with Shopee, the leading e-commerce platform in Southeast Asia and Taiwan. 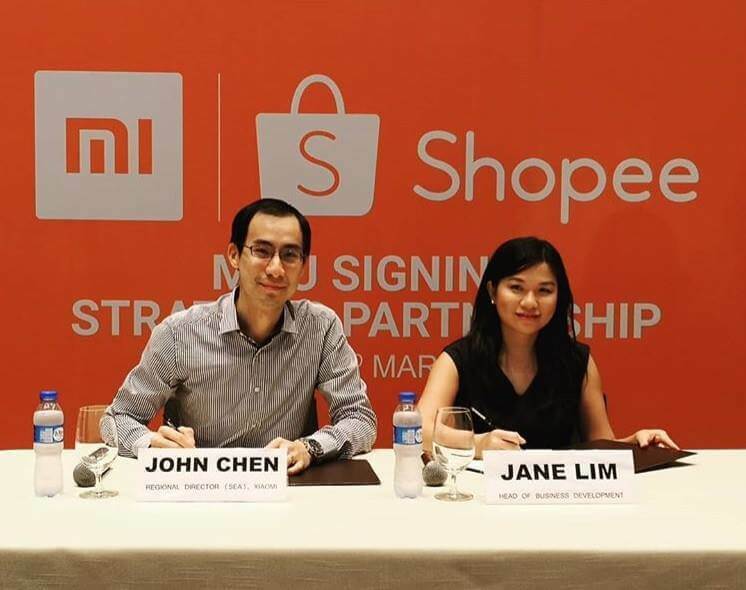 The Xiaomi and Shopee partnership is made official this March 23, 2018 at the New World Hotel Makati thru Jane Lim, Shopee's Head of Business Development, and John Chen, Xiaomi's Regional Director in SEA. "In the past few years we have witnessed tremendous growth in the number of Filipino consumers purchasing electronics, and in particular, smartphones, online. In the Philippines, electronics is one of the leading product categories sold online with a total market volume of USD 543 million in January 20182; and is also one of the top performing categories on Shopee. We are delighted to partner with Xiaomi, a global technology leader, to provide a greater variety of choices for consumers and to strengthen our position in the electronics category." "We are excited to partner with Shopee, one of the leading e-commerce platforms in the region that has steady growth and potential. The Philippines' e-commerce market is expected to see high growth this year, and we are confident with the strategic partnership with Shopee, it will extend our reach and highlight our commitment to continue to bring more innovative products into the market and provide greater access to technology for more Filipinos." To learn more, visit Xiaomi's Official Store on Shopee at https://shopee.ph/xiaomiofficialstoreph or download the Shopee App for free on Apple App Store or Google Play Store.